HyperX has launched its latest gaming mouse, the Pulsefire FPS Pro RGB. 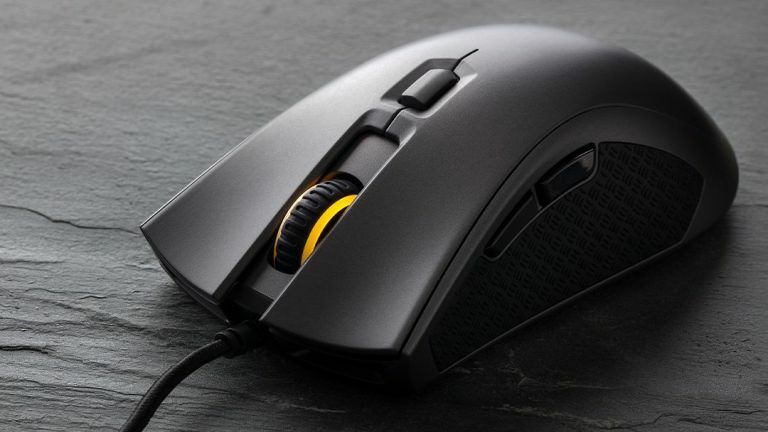 The mouse, which is equipped with a 16,000 DPI Pixart 3389 sensor, utilises premium Omron switches, each with a 20 million click durability, and comes with six programmable buttons as well as on-board memory with the capacity save three custom profiles. The RRP? £49.99, which puts it very firmly in the mid-range price-wise. The FPS Pro is an evolution of HyperX's pre-existing Pulsefire Surge gaming mouse, which currently resides in T3's best gaming mouse buying guide, however, this rodent has been redesigned for optimal performance in first person shooters. For example, there are now a brace of non-slip, rubberised grips on either side for super secure handling, and the optimal weight for fast but accurate movement (95 grams) has been selected for enhanced accuracy. Elsewhere the HyperX Pulsefire FPS Pro comes with a braided cable, large mouse skates for a smooth glide effect, and LED, RGB lighting, which can be customised as desired through HyperX's NGenuity software. The Pulsefire FPS Pro can be customised through HyperX's NGenuity software. Our hot take here at T3.com? That ability to store three custom profiles actually on the mouse in its on-board memory, rather than as a cloud-based profile, is definitely a welcome feature, as it allows for simple plug-and-play usage that doesn't require installing and logging into separate software each time you want to use your pre-sets. Those specs, while not standout compared to the competition, are high and especially so considering the mouse retails for under fifty notes, which sees the FPS Pro undercut similar specced mice from rival makers. The FPS Pro features six programmable buttons and is equipped with non-slip side grips. The HyperX Pulsefire FPS Pro is available to buy now through HyperX's online store for £49.99. For more information about the mouse and HyperX's wider range of gaming peripherals, check out the maker's official website.